The pedestrian involved in this incident, Darrell Kees, 44 of Katy, Texas, succumbed to his injuries this morning at Baylor Scott and White Hospital. He was pronounced dead by Justice of the Peace Barfield at 5:17 a.m. The Killeen Police Department continues to investigate this incident. Investigators are still looking for the driver of the third vehicle involved in this incident. Anyone with information is urged to call the Killeen Police Department at 254-501-8800 or Bell County Crime Stoppers at 254-526-TIPS (8477). Killeen Police investigate a late night crash on Interstate Highway 14. 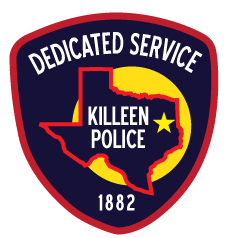 Killeen Police responded to a 911 call in reference to a crash involving a pedestrian and a vehicle on Saturday, March 18, 2017, at 11:22 p.m. Upon the officers’ arrival, they found a white male lying on the ground near the Trimmier Exit off ramp; he was immediately airlifted to the Baylor Scott and White Hospital in critical condition. The preliminary investigation revealed that a white Ford F350 was traveling westbound in the middle lane on IH-14 when the driver noticed a pedestrian attempting to cross northbound on the interstate. As the driver attempted to change lanes to the outside lane, the left side of her vehicle struck the pedestrian. A white Chevy Sonic and an unknown vehicle were also traveling westbound in the outside and exit lanes, when the pedestrian was seen in the roadway near the exit ramp. The pedestrian was struck first by the Chevy Sonic and subsequently struck by the unknown vehicle, which fled the scene. The occupants of the vehicles reported no injuries. The current condition of the 44 year-old male pedestrian is critical but stable. Officers are asking anyone who has information about this crash or the unknown vehicle that fled the scene to contact Crime Stoppers at 254-526-TIPS (8477) or go online at www.bellcountycrimestoppers.com or text BELLCO along with the tip to 274637. Text HELP to 274637 for help with the tip or text STOP to 274637 to stop the tip. Message and data rates may apply. All information is anonymous and confidential; if your tip leads to the arrest of the person involved in this case you could be eligible for a reward up to $1,000 in cash.